In this blog post, David Lilenfeld breaks down the fourth factor in the likelihood of confusion analysis, which is the strength of the plaintiff's trademark. (David M. Lilenfeld: here are the traditional considerations when analyzing the strength of a trademark). “The more likely a mark is to be remembered and associated in the public mind with the mark’s owner, the greater protection the mark is accorded by trademark laws.” GoTo.com, Inc., 202 F.3d at 1207. The “‘strength’ of the trademark is evaluated in terms its conceptual strength and commercial strength.” Id. “Marks can be conceptually classified along a spectrum of increasing inherent distinctiveness.” Id. “From weakest to strongest, marks are categorized as generic, descriptive, suggestive, and arbitrary or fanciful.” Id. 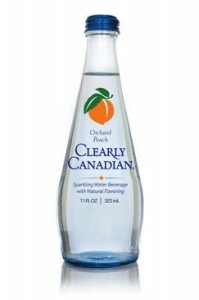 For purposes of this motion, the court concludes that a jury could reasonably find that the Clearly Canadian trademark is either descriptive or suggestive. Entrepreneur Media, 279 F.3d at 1141-42 (“Descriptive marks define qualities or characteristics of a product in a straightforward way that requires no exercise of the imagination to be understood. A suggestive mark is one for which a consumer must use imagination or any type of multistage reasoning to understand the mark’s significance, the mark does not describe the product’s features, but suggests them.”). “Although a suggestive or descriptive mark is inherently a weak mark (David M.. Lilenfeld: weak, but still protectable), it may be strengthened by such factors as extensive advertising, length of exclusive use, [and] public recognition.” Id. Clearly Food claims that its mark enjoys substantial public recognition to this day. (Resp. at 16.) In support of that claim, Clearly Food provides evidence that the Clearly Canadian mark has been in use since 1989 (Ledden Decl. Ex. 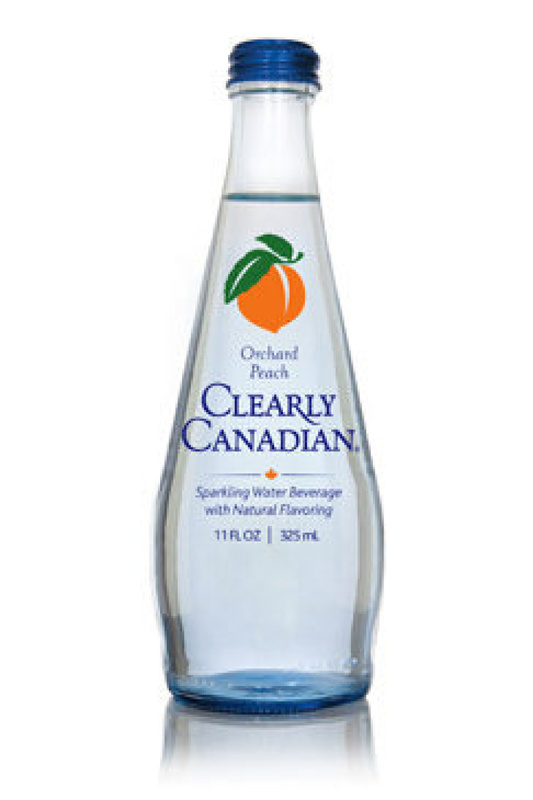 6 (“2014 Marketing Pres.”); that CC Beverage sold millions of dollars worth of Clearly Canadian beverages yearly through 2007 (although sales dwindled substantially after 1992) (id. ); that Clearly Canadian’s Facebook page has received over 35,000 “Likes” by members of the public (Screenshot (Dkt. # 57-6)); and that in November 2014, a daily Internet comedy show with in excess of one million subscribers discussed the Clearly Canadian beverages for four-and-a-half minutes (see Resp. at 13 (citing the Good Mythical MORE YouTube Channel. A jury could reasonably find that this evidence of public recognition so strengthens the mark as to tip this factor in favor of finding a likelihood of confusion.7 See Entrepreneur Media, Inc, 279 F.3d at 1141-42 (finding that monthly sales of half a million products could strengthen a descriptive mark such that the factor weighed in favor of likely confusion). However, this evidence is by no means overwhelming; a jury could also reasonably find that the mark remained weak. Therefore, the court concludes that, for summary judgment purposes, this factor weighs only slightly in Clearly Food’s favor. Here, Clearly Food contends—but provides no evidence showing—that the Clearly Canadian mark is incontestable. (Resp. at 2.) The incontestable status of a mark serves as conclusive proof that the mark has secondary meaning. Entrepreneur Media, Inc., 279 F.3d at 1142, n.3. Therefore, an incontestable mark cannot be challenged as invalid on the basis that the mark is descriptive and has not acquired secondary meaning. Id. If the Clearly Canadian mark is incontestable, Top Shelf’s arguments that the mark is not entitled to protection because it is descriptive must fail. (See Mot. at 24.) The incontestable status, however, does not require a finding that the mark is strong for infringement purposes. Entrepreneur Media, Inc., 279 F.3d at 1142, n.3. Therefore, the relative strength or weakness of an incontestable mark is still relevant to the likelihood of confusion analysis. Id. The USPTO refused to register the trademark HAMMER for “Skateboarding clothing, headwear and footwear, namely, beanies; belts; footwear; hats; jackets and socks; pants; shirts; sweatshirts; [and] t-shirts” on the grounds that the trademark is likely to cause confusion under Section 2 (d) of the Trademark Act, 15 U.S.C. § 1052 (d) with the registered trademark HAMMER & Design for jackets and hats. Applicant asserted that the registrant’s goods are specific to the sport of bowling and furthermore that they are associated with the professional skateboarder, Jim Greco. The Board conducted a likelihood of confusion analysis focusing on the similarities between the trademarks and the relatedness of the goods. The test used in In re E.I. du Pont de Nemours & C0., 476 F.2d 1357, 177 USPQ 563, 567 (CCPA 1973) evaluates not whether the trademarks can be distinguished in a side-by-side comparison, but rather whether as a whole their commercial impressions are so similar that confusion is likely. The Board found the trademarks to be quite similar visually because they share a similar commercial impression and are phonetically identical. Then the Board determined whether the degree of relatedness rises to the level that would mistakenly lead consumers to believe the goods come from the same source. The applicant’s goods, which include jackets and hats, overlap with the goods already registered; and even narrowing the applicant’s goods to skateboarding clothes they still fall within the scope of the registered goods. Applicant argued that its focus on skateboarding differentiates its goods from those of the registration, which are bowling clothes. The Board rejected this argument because there are no limitations in the registration so the goods are presumed to travel in all normal channels of trade to all customers. Accordingly, the Board found the goods and trade channels overlap, which lead to a likelihood of confusion. Finally, applicant asserted the clothing industry has many HAMMER trademarks. Therefore, applicant’s trademark should be permitted to join the industry. Applicant cited five third-party registrations but nevertheless the Board found these five registered trademarks contain other matter that distinguishes them from the cited trademark. Applicant’s trademark does not include any of this other matter. The Board found this du Pont factor to be neutral because these five third-party registrations do not establish confusion among consumers. In light of the similarity of the trademarks and the overlap and relatedness of the goods and overlapping trade channels, the Board finds in favor of likelihood of confusion. Therefore, the Board affirmed the refusal to register applicant’s trademark under Section 2 (d). B&B Hardware Inc. v. Hargis Industries Inc. come from the District Court for the Eastern District of Arkansas and then the Eight Circuit Court of Appeals. Justice Alito wrote the opinion for the Supreme Court of the United States. B&B Hardware (“B&B”) sells a fastener for the aerospace industry, called SEALTIGHT, which was federally registered in 1993. 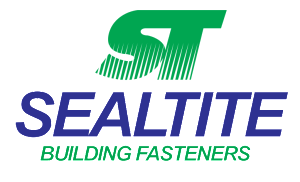 The opposing party, Hargis Industries (“Hargis”) sells self-drilling screws under the mark SEALTITE in the construction industry. B&B took action. The Trademark Trial and Appeal Board (“TTAB”) found a likelihood of confusion between the trademarks. On appeal, the district court chose not to give deference to the TTAB ruling because TTAB is not an Article III court, which helped Hargis prevail at in the district court. The U.S. Court of Appeals for the Eighth Circuit agreed that the district court was not required to give deference to TTAB’s decision. The question presented to the Supreme Court was whether a finding of a likelihood of confusion by the Trademark Trial and Appeal Board preclude re-litigation in federal court? In a 7-2 decision, the Supreme Court held that re-litigation is frequently precluded and, on appeal, deference should ordinarily be given to TTAB’s ruling. The Court reasoned that when parties have had adequate opportunity to litigate an issue and an administrative agency properly resolves the issue, re-litigation is precluded unless Congress has indicated otherwise. The Court next determined that nothing in federal trademark law prohibited issue preclusion. The Court also held that TTAB’s ruling satisfied the ordinary elements for claim preclusion: (1) likelihood-of-confusion standards for registration and infringement are the same; (2) no reason to doubt the quality, extensiveness, or fairness of the agency’s procedures, and (3) parties are likely to treat both contested registration and infringement seriously.